The Undercover 6 is the largest light of the Undercover Series; it’s 7” long and contains 6 LEDs, each with a 3-Watt bulb. The black, oval aluminum housing just 1” wide is sleek and trim, fitting well with vehicles manufacturer’s lights. 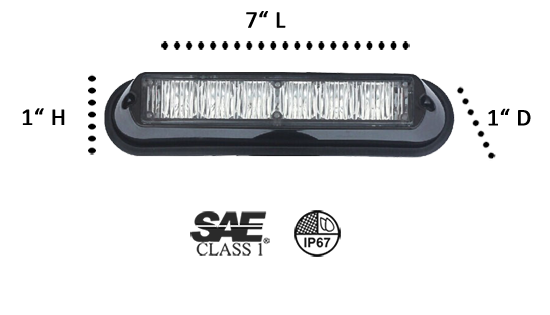 Because it’s one of ETD’s longest surface/grille lights, it looks especially good on the racks, bumpers, and toolboxes of POVs. 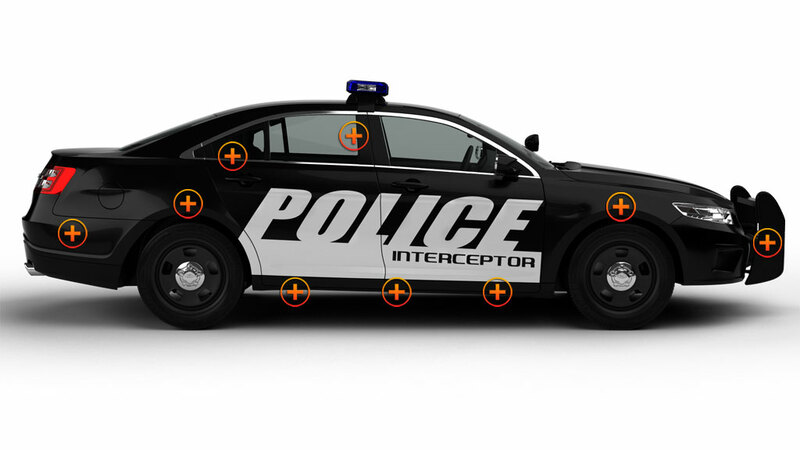 18 Watts is a lot of light to add to your vehicle; double that if you buy a pair of Undercover 6’s. 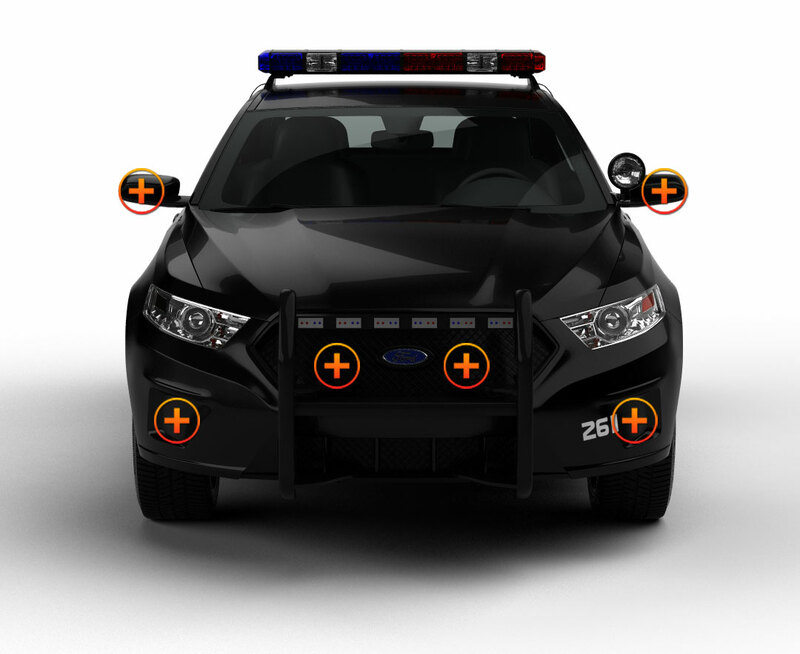 The ‘6’ is hardwired to a light or siren system already in place and can be synchronized with up to 19 other units; it can alternate, too. It has 19 flash patterns and pattern memory, and comes with your choice of 5 solid or 7 split-color combinations. The high-intensity beams that shine through the TIR polycarbonate lens are clear and extremely bright; they can be seen for miles. It’s sealed with industrial-grade epoxy keeping out moisture and dirt, and it’s 100% waterproof! It comes with a rubber gasket and a mounting flange if you want to DIY! When shopping for a certain Surface & Grille Light, look no further! Extreme Tactical Dynamics has all sizes, shapes, and wattages; you’ll find just what you’re looking for right here. Take a look at the Videos in our knowledgebase, that our many satisfied customers have sent showing off the emergency led lights they’ve bought from us. You’ll see a lot of Surface & Grille Lights, as well as demonstrations of just about every light that we sell. 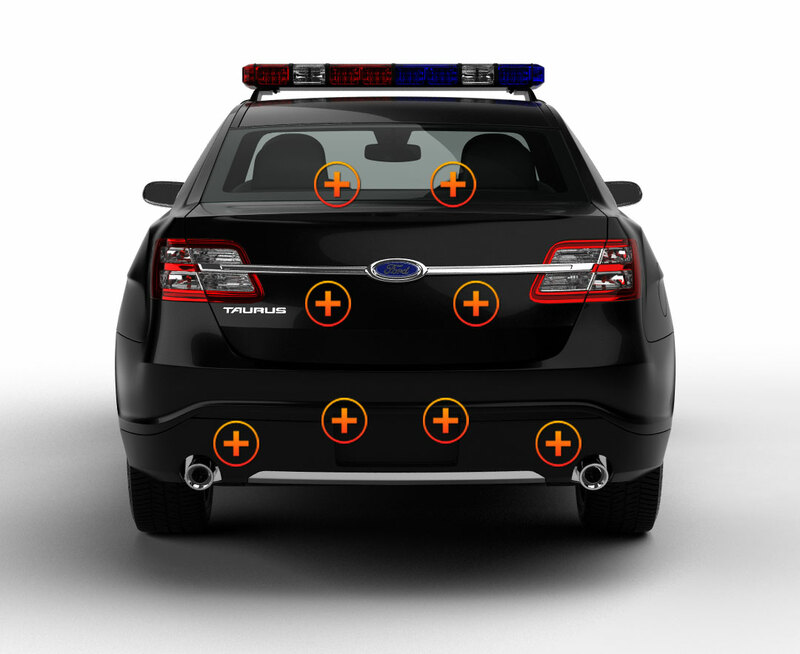 Take a look at them before you finalize your purchase, so you can see exactly how our lights will look on your vehicle.